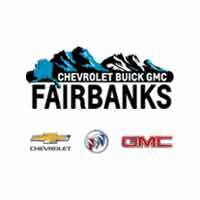 At Chevrolet Buick GMC of Fairbanks, we make maintaining your car easy with convenient and affordable certified service. From basic auto maintenance, such as oil changes and tire rotations, to tune-ups, winter inspections, and more, our GM service technicians will have you in and out of our service center faster than you’d expect! Enjoy complimentary beverages and Wi-Fi in our customer lounge while you wait – because routine car maintenance shouldn’t put a wrench in your plans for the day. What Does Routine Care Maintenance Include? Learn more about maintenance services offered at Chevrolet Buick GMC of Fairbanks. Nitrogen inflated tires can help save your wheels from corrosion as well help to keep your tires fully inflated during the winter months. Stop by 3300 South Cushman and let our team fill your tires with Nitrogen today. Change out those old wiper blades at Chevrolet Buick GMC of Fairbanks. Having new wiper blades ensures that you are able to see through the bad weather in order to make sure that you are staying safe on the road. Why Is Maintaining Your Care Important? The cost of not maintaining your vehicle can become painfully apparent when something minor that could have been addressed during routine maintenance becomes an expensive repair. Maintaining your vehicle will not only keep your car safely on the road and improve fuel efficiency, but it will also help you avoid potential engine, transmission, drivetrain or other repairs down the road. Call us at (907) 885-0345 or schedule a service appointment online today.